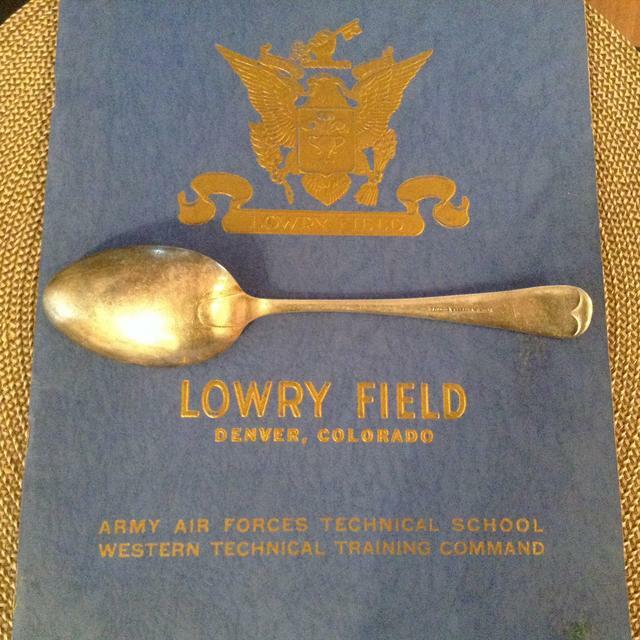 Hello all, I have recently picked up two spoons of which one is confirmed to be dated 1939 and is military origin. I was hoping to ask for a little more info on the markings if people could help? I understand that NS means Nickel Silver. The top one, 'G Ltd' the maker? Intrigued to know if anyone could help. Checked my references and the only possibility I found was Gieves Ltd of London. They were working in 1939 and had a similar sterling mark registered. Thank you very much for that. I admit to trying to find it myself before finding and posting on this forum but I don't have the access or the know how on this subject. It is fascinating though. Anymore thoughts on the bottom one? I admit again to having tried and falling at the first hurdle. X-12 might refer to the thickness or how much silver was plated on the piece. Since these were ordered by the military, I'm sure they had specifications for the amount of silverplate. Wish I could have helped more. Hello, I came across this old post when doing some research into companies who make War Department cutlery. 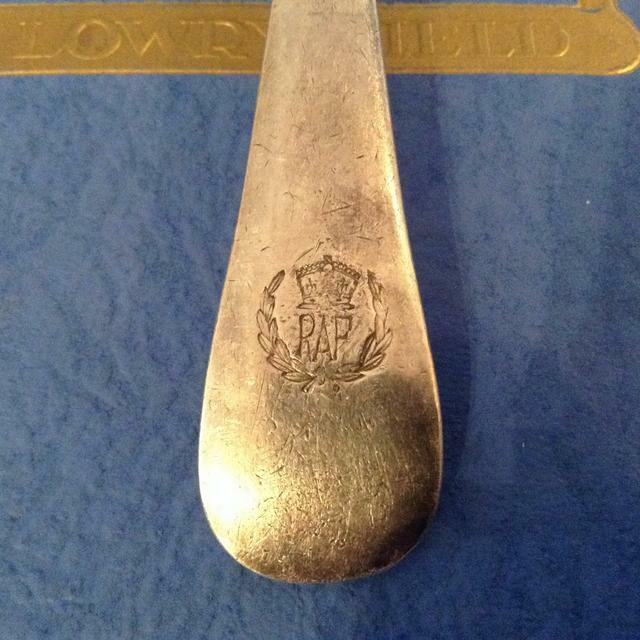 The presence of a “broad arrow” mark identifies this cutlery just as same mark identifies most other British Army equipment. The cutlery also almost always carries the year of manufacture/requisitioning. In “Crashes” photo the upper spoon is dated 1939 and next to the year is the “broad arrow”. The maker’s mark “G Ltd” is suggested as being “Gieves Ltd” of London. Until about 3 months ago I would have had no reason to doubt this attribution as it agrees with the current on line identification. That was until a response from “Dognose” came to a post I had submitted about another WWII “broad arrow” cutlery maker. A “light bulb” moment, and I felt I needed to review the “G.Ltd” identification on Army cutlery. I had other stored images on my computer I had described as “Gieves”. Since 1785 “Gieves” have in various guises been “British Royal Naval” outfitters at many British ports (and some overseas bases). “Gieves Ltd” began after WWI and were centred at 21 Old Bond Street London 1928-1941. In 1974 they acquired “Hawkes” the British Army outfitters to become “Gieves and Hawks”. Was this strong evidence for the supply of Army cutlery in 1939? Dognose’s comment that I earlier mentioned had given information taken from a book “The Cutlers Tale - John Price – 1997” - John Price being part of the well known Birmingham based family concern “Arthur Price & Co Ltd”. Were spoons be allowed to be made in London? Would you not think there were plenty of Naval officers for “Gieves” to kit out? I am doubtful about “Gieves” making these Army “G Ltd” bits of cutlery and I do have an alterative possibility, “Gladwin Ltd” of Sheffield and we do know some information about “Gladwin Ltd”. They made a large range of electroplated domestic flatware and holloware. They were active in Sheffield, at Montgomery Works in the first part of the 1920’s and at the Embassy Works from 1926-1936. We further know that Gladwin Ltd had a Sheffield silversmithing business from 1923-1951 and one address was Rockingham Street (information silvermakersmarks.co.uk).“Embassy Works” seems to have been on Rockingham Street. Also, I think the 2 following photos tell us that Gladwin’s were also making electroplated flatware after the suggested 1936 date seen above. First composite image, from before WWII, are more broad arrow items, but this time not for the Army. 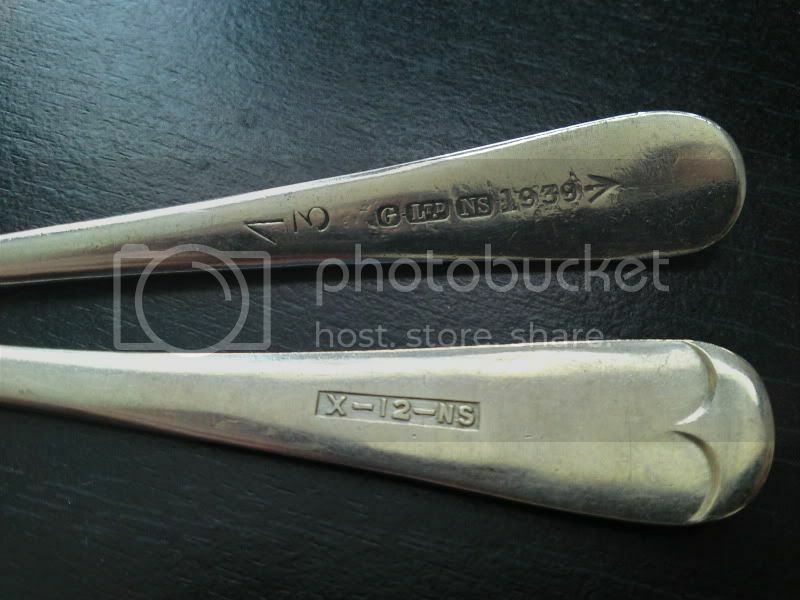 These were made for the A.M., the Air Ministry, in other words, made for the British Royal Air Force but as you can see not all this type of Air Ministry flatware has the broad arrow mark. The next photo indicates “Gladwins” were still in business in the 1950’s and still producing wares for the military, including dinner knives. Now I have a thought. Why have I not got “Gladwin” images for the actual war years? Am I just unlucky? Has anybody else got images of “Gladwin” broad arrow items for the War years? Below in the composite photos are some of what I do have for the actual War period. Is “G Ltd”, Gladwins’, “war efficiency” slimmed down trademark? I am sorry if I seem a little over enthusiastic with marks but I have 2 more to support my theory. For casual support guess whose Sheffield silvermark is shown below? Incidentally “B” is for 1944. Yes, you got it in one, “Gladwin Ltd”. It is also true though, that “Gieves Ltd”, had a similar maker’s mark for the Birmingham Assay Office. Next hopefully is a more convincing pointer. Gladwins’ had 2 very well known trademarks. One is “Embassay” and it is shown above on the 1956 knife blade image and below are examples of Gladwins’ “Ambassador” trademark. The last image needs carefully viewing but finally here, on a piece of “Ambassador” silver plate, is the simple “G Ltd” manufacturers mark. Now it is over to the forum for your opinions. I have not yet changed the titles on my stored images but I will need some convincing evidence to not do so. Ps. I also have an opinion on the 2nd spoon in “Crashes” photo and it is annoying that the USA has “1847 Rogers Bros Ambassador silver plate” as well. In line with "Loose lips sink ships", putting the full name of a factory on an item that could be captured might give your enemy a target to put on a map. So, makes sense to simply reduce the name to a letter in order to create confusion "over there". We'll have to see if anyone has a Panzer to poke a hole in your line of reasoning...looks substantive and acceptable to me. Great research! I'm sure you are correct in attributing the mark to Gladwin Ltd.
As for the second example given by the OP, this surely must be an example of the 'XNS' standard wartime utility cutlery that by a decree, issued sometime during the war, that was the only flatware permitted to be manufactured. 2 – 0 to me so far. And both of you are mind readers. Well Traintime, thought transfer across the Atlantic. Is there money in it? I too had thought that the “slimmed” trademark might have been part of the “careless talk costs lives” program. However that only came to me as I walked to get my newspaper this morning before I looked at my post again. The last 2 images are interesting though? Perhaps both just made post WWII? The broad arrow item was a spoon. In reference to above emblem, this was the insignia for officers of flying ranks up of the Royal Air Force and related women flyers. In was in use during WWII. Officers below air ranks used the bird-across design which was the emblem of the Air Ministry, an oversight organization (from Jan. 1918-) extending beyond the RAF. RAF was created as a result of AM in order to consolidate and replace the old flying corps functions of the army and navy, and the emblem is reportedly datable back to circa 1920 (not confirmed). 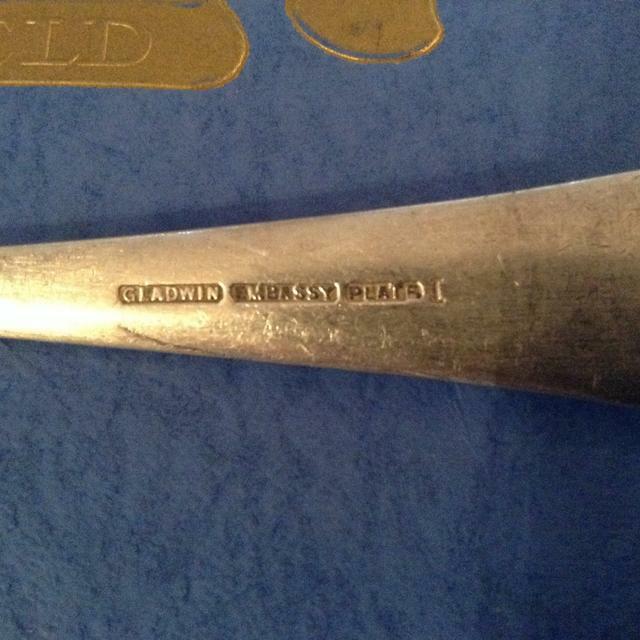 Why Gladwin is not shown as "Ltd." on the spoon is the question..could this be related to that 1936 date that seems to pop up? From what is known, I would suspect the AM broadaxe items were never meant for RAF flying rank officers and were ordered separately to those supplies (at least during the early years). The pressures of expansion during the war might have brought some changes? Sorry, that was broad arrow not broadaxe...my mind must be on chopping!